Now that the holiday season is upon us, it’s time to start thinking about selecting gifts for your children. 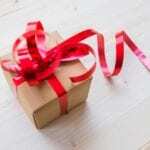 If you want to include STEM gifts in the mix, here are some of my personal favorites. 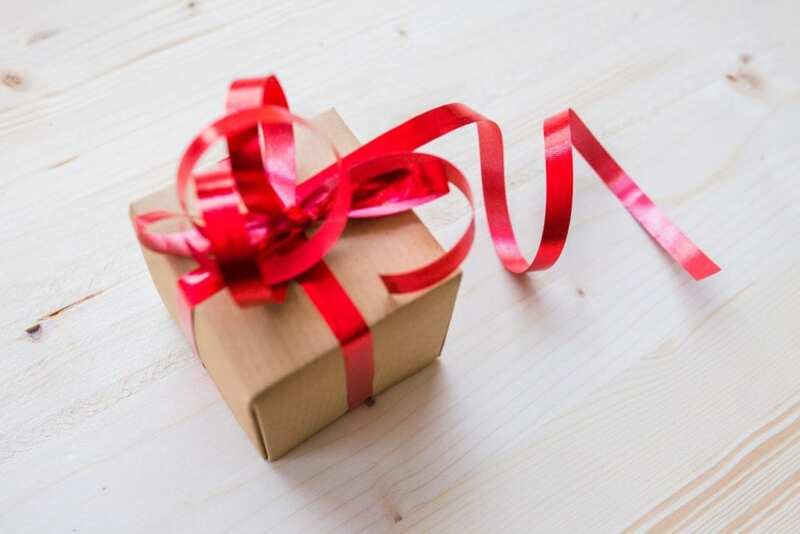 I organized the gift recommendations into 5 themes so that you can see there are many ways to get your kids immersed in science, technology, engineering, and math. 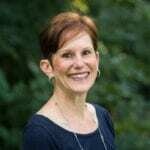 In addition to toys, I have included activities like reading books and magazines, doing hands-on projects, and being part of a robotics team or coding club. I am a big believer in toys that require active participation and challenge kids to be imaginative and create things. So, it’s no surprise that my list of standout STEM toys and kits encourage kids to design, build, and test in a fun and meaningful way. What’s not to love about LEGO? This is a classic toy that never goes out of style because the company keeps the brand fresh and interesting by regularly introducing new themed sets. What I love about LEGO is that it appeals to all ages of kids and helps to strengthen spatial, design, building and creative skills. Themed Sets: Get product ideas by exploring your child’s interests. LEGO Friends: The Friends sets are beloved by girls who like to build and play in an imaginative world that includes five special friends. 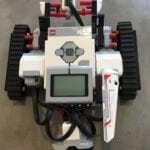 LEGO® MINDSTORMS® EV3: Learn to build, program and command your robot with LEGO MINDSTORMS. littleBits came onto the scene in 2013 when they introduced their invention kits and the electronic building blocks have grown in popularity ever since. We have had a lot of fun using littleBits in our family and you can read why I recommend littleBits here. 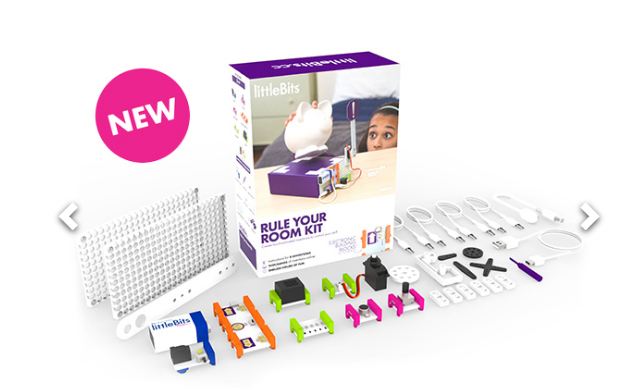 littleBits help kids learn about electronics and explore in a fun, playful and inventive way. The modules are tiny circuit-boards with simple unique functions such as lights, sounds, sensors and motors. Kids use the modules as building blocks to design their own electronic creations. All the blocks are color-coded, magnetic and reusable, and each kit comes with step-by-step invention guides plus additional ideas to invent on your own. In case you’re wondering, there is no soldering or wiring required! I learned about Makey Makey a few years ago when my daughter took a class at our local library. It’s a circuit board that connects everyday objects that conduct electricity, like bananas and Play-Doh, to a personal computer (PC), turning the objects into touchpads that control things on the computer, such as a camera, a piano keyboard or even a video game. 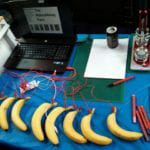 Makey Makey is an affordable and easy-to-use kit that will get your child involved in hands-on engineering activities. 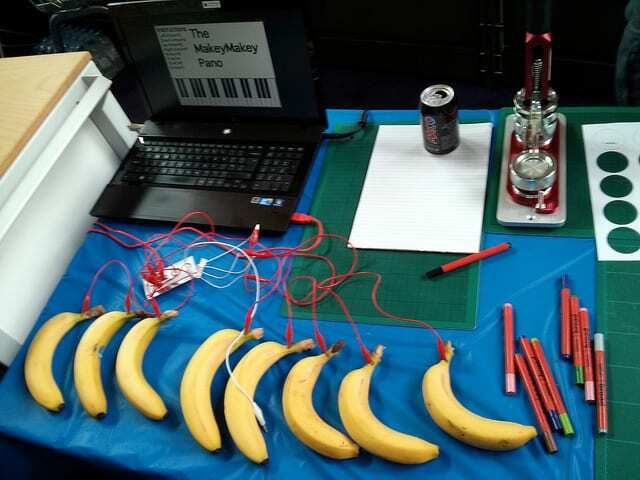 The original Makey Makey Classic, named one of Consumer Reports’ “Best Tech Toys of 2014″, “Best of Toy Fair 2014” by Popular Science, and a finalist for Toy of the Year 2016, costs $49.95. I have two daughters, so it’s important to me that we encourage girls to get involved in STEM when they’re young. It makes me happy to see more products being created for girls. 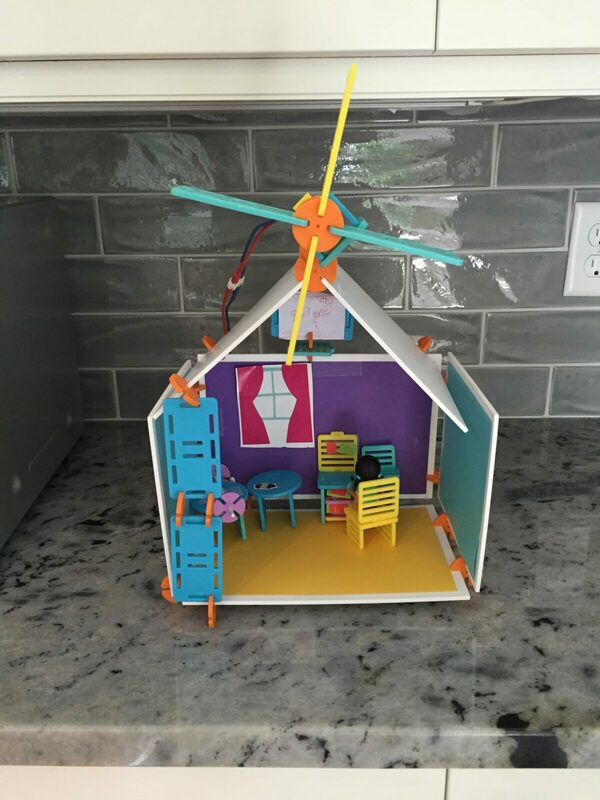 Roominate, founded by two female engineering graduate students from Stanford, sells “wired dollhouses.” They are building toys, intended for girls between 6-10 years, who like to design, build and decorate. 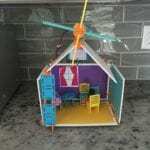 Roominate’s kits consist of modular plastic building pieces, circuits and motors that allow girls to add movement and lights to their creations. 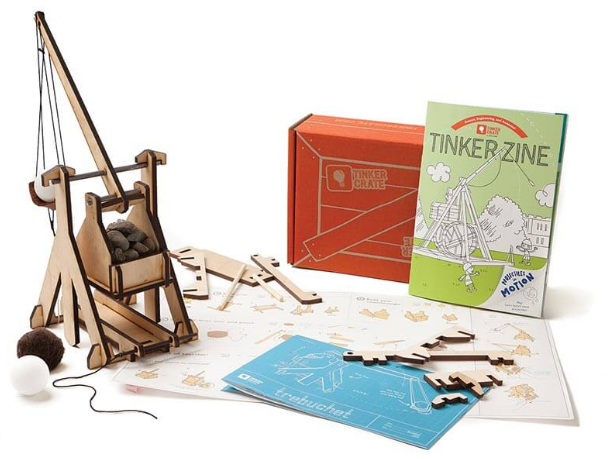 Awarded #1 Toy of 2014 by TIME, Roominate sells building sets based on different themes. Costs vary based on the type of kit. I was moved when I heard Debbie Sterling, founder and CEO of GoldieBlox, give a TEDxPSU talk about girls and engineering. 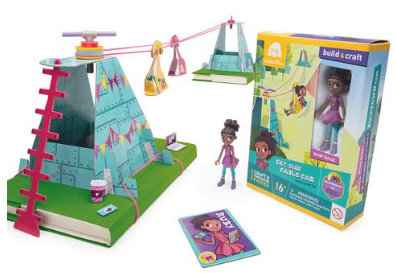 Debbie (a Stanford engineering graduate) invented GoldieBlox which are construction toys targeted for girls. They are designed to get girls interested in engineering at a young age and build their confidence in problem-solving. 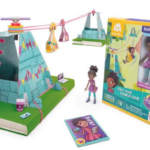 Voted Parents Best Toys 2015, GoldieBlox offers a big selection of toys, games, and entertainment. Costs vary based on the type of kit. Reading is a great way to build interest, knowledge and confidence in STEM. 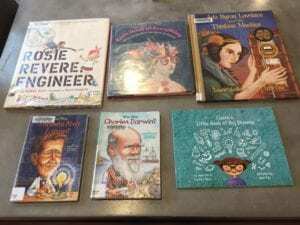 I am always on the hunt for good STEM books for my kids and here are a few of our favorites. My younger daughter loves the Who Was series of books which tell the amazing stories of scientists and inventors like Isaac Newton, Albert Einstein, Marie Curie, Benjamin Franklin and many more. The stories are told in a compelling manner and are perfect for elementary and middle school readers. If you’re looking to inspire girls, check out Rosie Revere, Engineer, Ada Twist, Scientist, and Girls Think of Everything: Stories of Ingenious Inventions by Women. If you want to motivate your child to see her/himself in a STEM career, order a personalized storybook from CuSTEMized. These fun-to-read books encourage kids to imagine themselves in science, technology, engineering and math jobs. A subscription to Popular Science and MAKE magazines will help keep your kids updated on the latest news in science and technology and give them lots of ideas for doing projects at home. My high school daughter started reading both magazines in middle school and absolutely loves them! The Maker Movement is strong and growing in the U.S. The “DIY mindset” encourages individuals of all ages to tinker, design, and create at home or in maker spaces. If you want to get your kids experimenting and tinkering at home, you may want to consider signing up for a monthly STEM kit. I’ve noticed a trend in companies offering subscriptions for DIY kits of all types. A new project arrives at your home each month and that means your kids can explore STEM on a regular basis. 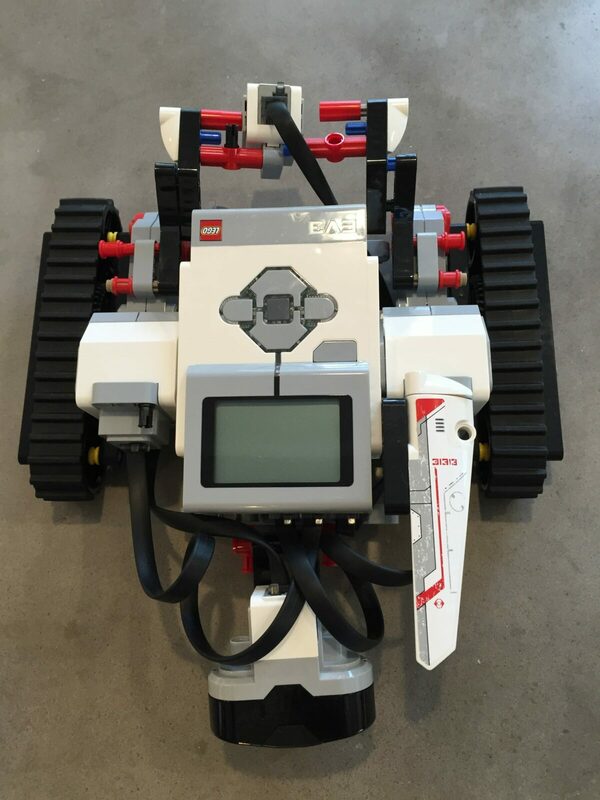 If your child is a fan of LEGOs and enjoys building things, constructing robotics, and all things engineering, then he/she might be interested in being part of a FIRST robotics team. You can give the gift of your time and support your child’s education by starting a FIRST LEGO League. FIRST stands for “For Inspiration and Recognition of Science and Technology” and is an organization that runs robotic leagues around the world for kids as young as 6 years all the way through high school. The FIRST robotics programs provide an enriching experience and kids get exposed to mechanical engineering, electrical engineering, programming, CAD and teamwork. At the younger ages, many leagues are started by and run by parents. Learn how you can start a FIRST LEGO League. “Teach a girl to code and she’ll change the world!” I love that quote from Girls Who Code! 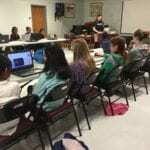 The popular organization teaches computer science to girls in 6-12 grade in free coding clubs around the country. This nonprofit launched in 2012 and is growing quickly, with clubs in all 50 states. The learning environment is nurturing, fun and friendly. My daughter recently began her second year of Girls Who Code and has had a great experience. Because the program is so popular, many of the clubs are filled to capacity. If your daughter wants to join a club but it’s full, it is possible to start a new club. 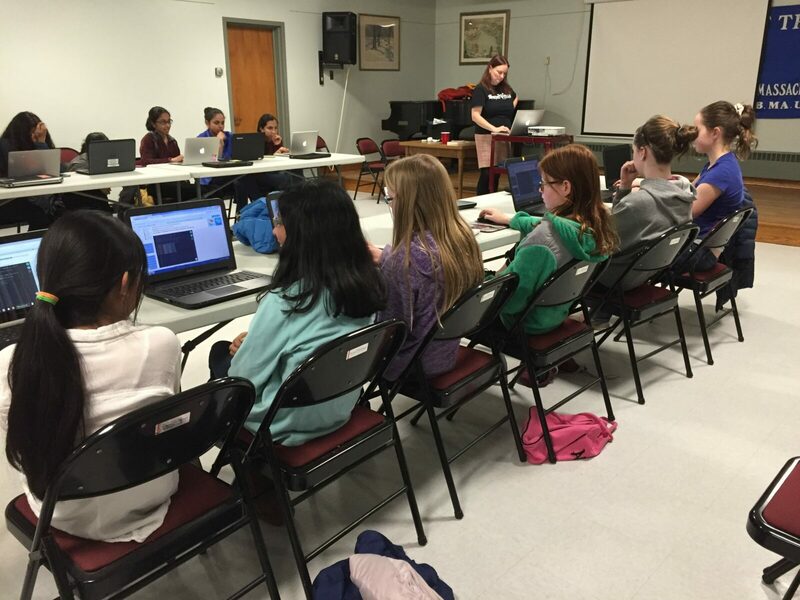 As a gift, consider helping to get a Girls Who Code Club started in your community. Learn how you can start a Girls Who Code Club. I hope that I have given you some unique gift ideas and made your holiday shopping process a bit easier. Ultimately, I think these gifts will pique your child’s curiosity in STEM and will have a long-lasting positive impact.